The DMDS feature has been updated recently and DMDS 3.0 has officially been launched. This new version increases functionality and ease for both admins and users. 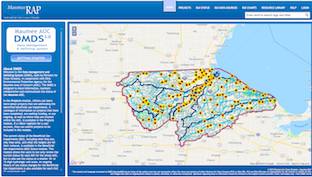 DMDS 3.0 features several upgrades that give users more current and comprehensive information about Maumee AOC projects. Click here to visit the new and improved DMDS web page. 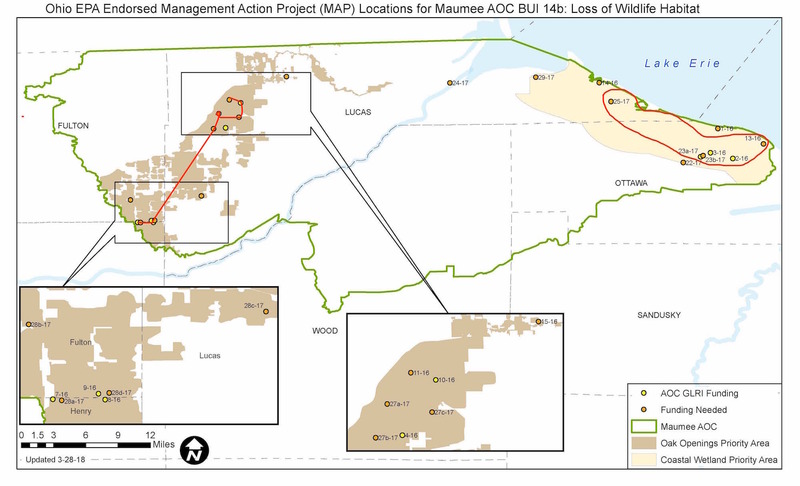 The Maumee AOC Advisory Subcommittee on Fish Habitat and Benthos Recovery has been developing and detailing a list of future potential Management Action Projects (MAPs) to accelerate addressing issues within the Maumee AOC. This workshop is intended to produce a list of recommended management actions for specific impairments for funding under the Great Lakes Restoration Initiative in order to make strides towards removing several Beneficial Use Impairments that have been identified under the AOC program. Presenters will speak on current MAAC-recommended projects to specifically address Fish Habitat (BUI 14) and Benthos Recovery (BUI 6) and attendees will provide expert input and local recommendations for additional projects. The goal of the workshop is to collaboratively develop effective and efficient plans for projects that will help delist BUIs. In case you missed it this summer, the MAAC has posted two videos from its eastern and western Maumee AOC tours in 2018. Both tours focused on habitat restoration projects that were fast-tracked for funding through the MAAC. 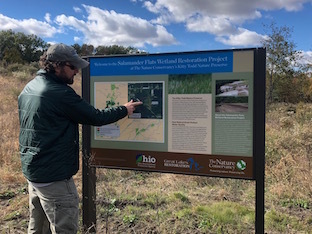 Tim Schetter with Metroparks of the Toledo Area gave an overview of the Howard Marsh Phase II plans and took MAAC members on a walking tour of the property. Patrick Baranowski with ODNR and Russ Terry with Ducks Unlimited showcased the habitat restoration improvements going on at the Toussaint Wildlife Area. Both projects directly address BUI 14b – loss of fish and wildlife habitat. Visit the Maumee AOC Facebook page or click here directly to watch some of tours! The Maumee Area of Concern Advisory Committee was invited on three tours this summer, highlighting restoration projects with different partners. In August, MAAC members went on an Eastern Maumee AOC tour of projects focusing on addressing BUI 14b (loss of wildlife habitat). This area is comprised of critical coastal wetlands and adjacent upland ecosystems. There were four site visits including: Howard Marsh Phase II, Toussaint Marsh State Wildlife Area Phase II and III, Toussaint Parcels West and East, and the Navarre Unit at Ottawa National Wildlife Refuge. In September, MAAC members went aboard the Sandpiper to tour several Maumee River restoration projects in the downtown area. Presenters included the Toledo Metroparks who talked about recent and future Metropark projects along the river, The Mannik & Smith Group highlighted several brownfield cleanup and redevelopment projects along the river, and Hull Inc. discussed the Great Lakes Dredge Material Center for Innovation. 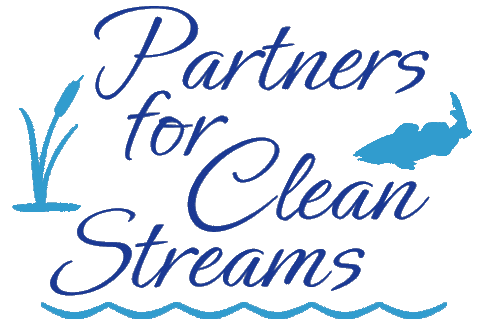 Cherie Blair with Ohio EPA and Kris Patterson with Partners for Clean Streams facilitated discussion on the importance of the work and partnerships in the AOC and within the region to improve environmental conditions. The third and final tour showcased restoration sites in the western portion of the Maumee AOC, specifically the Oak Openings region and Maumee State Forest areas at nine site visits. Irwin Prairie, Sandhill Crane Wetland Restoration Project, Irwin Prairie PCA Acquisition and Restoration sites, and Maumee State Forest new Site 1 and 2 were all featured on the Western AOC tour. Thank you to those who presented their restoration projects and for those who attended the tours that exhibited the ongoing work within the Maumee AOC to address BUIs and improve local environmental conditions.